Lauren Hom is a California-born (formerly Brooklyn-based) self-taught letterer, illustrator, designer and Skillshare teacher. When she’s not busy traveling the world designing murals (for places like Dublin, Cusco and Gili Air Island) and working on projects, she’s creating freelance illustrations for brands like Samuel Adams, Aeropostale, and Starbucks. Her life motto is “Work hard, snack often,” and she amazingly gets to do both with her Will Letter for Lunch project. We caught up with Lauren to get some tips on staying inspired and being successful both in professional design and in life! I’m inspired by everyday life — from inside jokes with friends to traveling around the world, my work is inspired by my experiences. 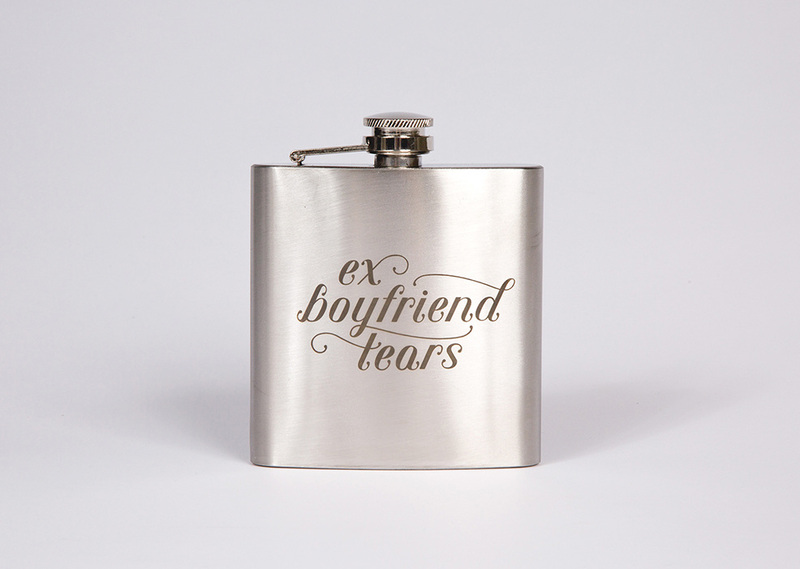 Even the bad ones; I went through a bad break up a few years ago and it inspired one of my favorite projects ever, Ex-Boyfriend Tears. Aesthetically, I’m inspired by the colors, patterns, textures, and signage from all the places I visit. How do you fight creative burnout? The best way to fight creative burnout is to never get close to burning out. If you feel like you're burning out, stop working and take a break! Please, for the love of God, give yourself permission to relax. I feel like we're constantly being told that the secret to success is to "be the first to arrive at the office and the last to leave" or to "work harder than everyone else", but I don't feel like that's a healthy or realistic mentality to have. Sure, it might work for some people. Personally, I think having a good work/life balance is the secret to fighting creative burnout, and everyone has a different idea of what that means. Where and how do you work best? I work best when I feel the best, so that would be in comfy chair a sunny room with a nice breeze, preferably wearing something with an elastic waistband. Lucky for me, this is a pretty vague description of a workspace so I can travel often while still maintaining a good workflow. I also make my best work when I'm in love. Not necessarily romantic love, but any kind of love: in love with life, in love with my friends, in love with a new city. It may sound cheesy, but it's a necessary thing for me to feel in order to do my best work. My dad always told me, "you make your own luck." Which basically means luck doesn't exist. It's no coincidence that the "luckiest" people I know are also the hardest working, most resourceful people I know. Be passionate, put in the work, and watch yourself get luckier. What are the top traits someone in your field should have? To be a designer, I think you need to be passionate, resourceful, and curious above all else. You have to be willing to dedicate your life to design. It should seep into every nook and cranny of your day. My world revolves around creativity, and I wouldn't trade it for anything. You also need to be resourceful; people often ask me how I've made so much professional progress at 25 years old, and I always tell them this: I'm no more talented or passionate than the next recent college grad. But I am more resourceful. I'm the kind of person who takes the initiative to figure things out for herself. I didn't know how to hand letter, so I taught myself by practicing every day. I didn't know how to find an agent, so I turned to my favorite designers' portfolios to see who they were working with and what type of work they were producing. I had no idea where to find custom laser-engraved flasks for a decent price, so I Googled "custom laser engraved flasks" and went from there. There's no magic. I just make the most of the resources (aka, the Internet) I have. Lastly, a willingness to break out of your comfort zone and try new things is absolutely necessary. Not just design-related things, like learning a new Photoshop effect, but anything in life that you're curious about and makes you uncomfortable. The most successful designers I know are the most adventurous people I know. They travel, they try unfamiliar foods, they challenge the norm, and they say yes. The more curious you are in everyday life, the braver you'll be as a designer. I'll continue to letter and travel the world, and I want to shift some of my focus to helping other people tap into their creativity. I feel so fortunate to be able to make a living as an illustrator, so I want to use my skills to make more helpful things like this fortune teller I designed with 8 ways to stay on top of your freelance game (P.S. you can download it for free when you sign up here)! Want to learn more about chalk lettering from Lauren herself? Her class “Hand Lettering for Chalk Murals” already has over 4,000 students and is only growing from here. Check it out, and you’ll be hand lettering chalk masterpieces in no time.